Weather permitting we’re off to a barbecue this evening. [Turns round, looks at sky: mostly grey, small patch of blue. Crosses fingers.] We’ve been waiting all summer for the opportunity to make some vegetarian barbecue recipes and this from Mark Hix, as featured in the Independent newspaper, would be a dead cert as a plate of al fresco finger food on a warm summer evening. We haven’t cooked any plantain for a while, so this had me instantly licking my lips. Recipe here. 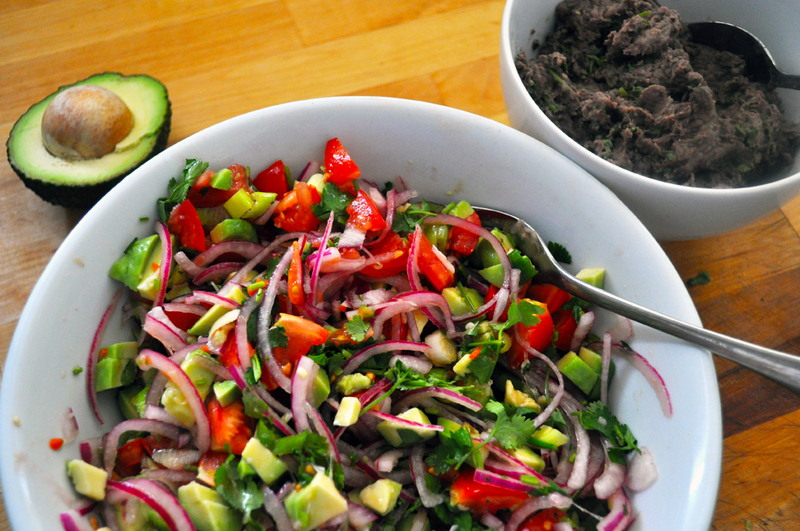 I won’t include a recipe for these – there are so many variations. 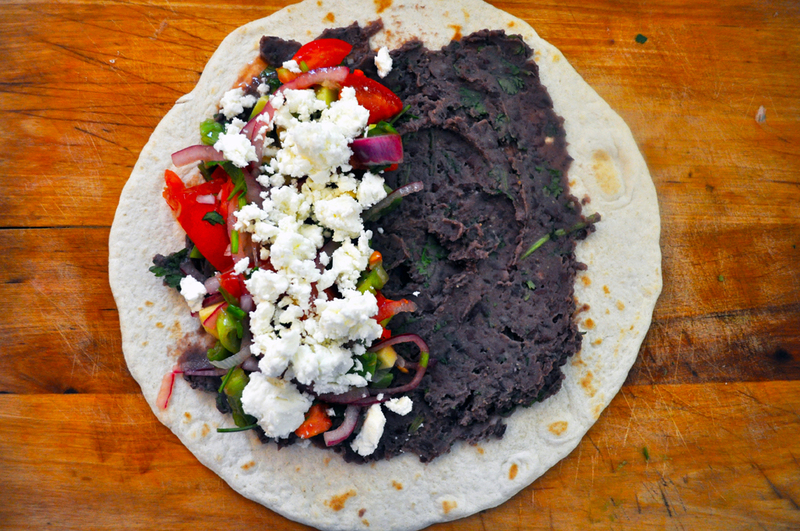 Basically, we filled a tortilla with spicy black bean paste (mashed black beans with spices, coriander leaf and lime), a salsa made with avocado, tomato, red onion and lime – and, in a break from authentic tradition, feta cheese. I had feta in a burrito years ago at a little place in Southwark and my it works. It replaces the sour cream and Cheddar/Monterey Jack combo you often see in Britain and it adds a really good tang to the meal. 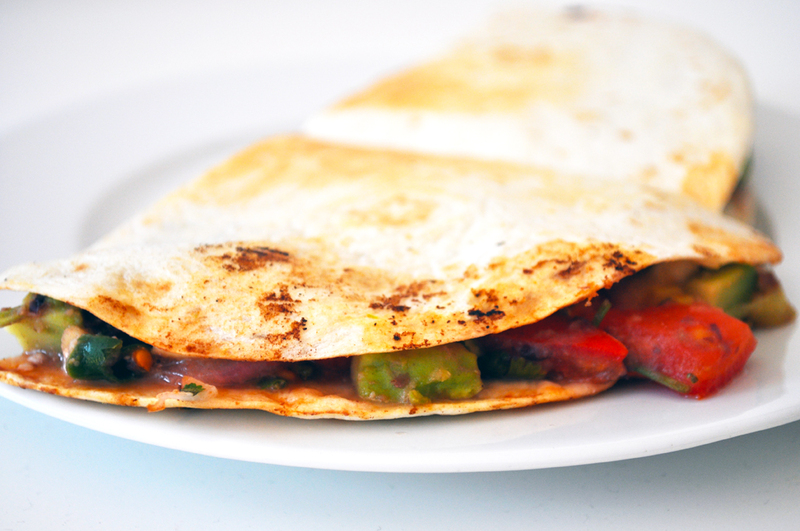 Pile up the tortilla, fold over and warm in a dry frying pan. Perfect.